Back in Windows 8 Microsoft modified the look and feel of the File Explorer with new icons, new features, ribbon menu, etc. In fact, they even changed the name from Windows Explorer to File Explorer, which makes a lot of sense. Obviously, there are some who don’t like the new File Explorer style. If you really like the Windows 7 style File Explorer or just hate the ribbon menu in the new File Explorer, you can easily modify the look and feel of the File Explorer to mimic the Windows 7 style. Here is how you can do that. Note: we are going to use a third-party software to modify the file explorer. Before making any changes, make sure that you back up your system. This helps you to revert back if anything bad happens. 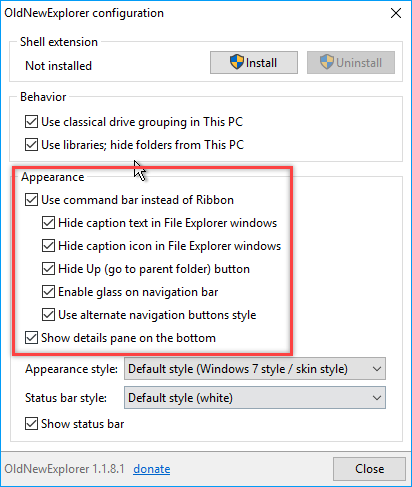 To start, we need to change the default File Explorer view from “Quick Access” to “This PC.” To do that open the File Explorer by pressing the keyboard shortcut “Win + E.” Select the “View” option, and then click on “Options” appearing on the ribbon menu. After opening the OldNewExplorer, select both checkboxes under the “Behaviour” category. 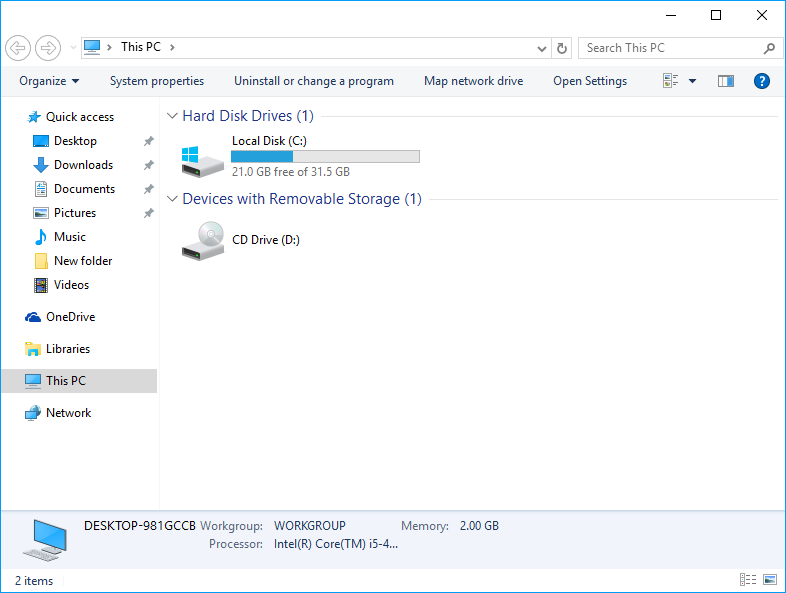 The first option brings back the Windows 7-style drive grouping so that you no longer see your external or USB drives next to your hard drives, rather they will appear in a separate section. The second option uses the Libraries, just like in Windows 7, and removes the “Folders” section from the File Explorer. Under the Appearance section, select all the checkboxes. 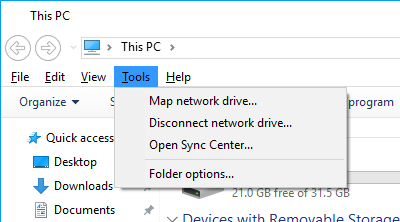 These options will alter the File Explorer to match the Windows 7 style. You can also select the appearance style and status bar style using the drop-down menu next to them. However, it is recommended that you leave it with the defaults. Once you are done with everything, click on the “Install” button appearing on the top of the window. This action installs and modifies all the necessary registry entries. Once this is done, you will have your Windows 7-style File Explorer. If you want to you can also remove the Quick Access menu from the left sidebar. Just like in Windows 7 you will have your classic navigation menu at the top of the window. 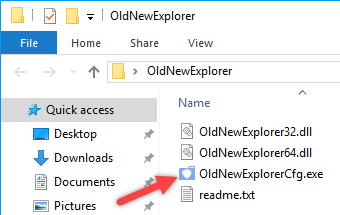 If you ever want to revert back, simply open the OldNewExplorer app, and click on the “Uninstall” button. This action will undo all the changes. Do comment below sharing your thoughts and experiences about using the above application to make Windows 10 File Explorer look like Windows 7 File Explorer. There is an easier way, just keep Win 7. Don’t upgrade. Or you can use Classic Shell from http://www.classicshell.net. It’s free, and works on Windows 7 – 10, Server 2008 – 2016, 32- and 64-bit versions supported. A couple of radio button selections to get started, and you’re back to using the GUI that you’re most familiar with. Had windows 7 now new pc has 10. When reading news I had file on upper left when I wanted to send the item viewed would have file and then e-mail link and send, very simple now it’s gone on 10 so I don’t forward any thing to others. I can’t find the file like vista 7. windows 10 should have the important things from 7 and keep them on 10. Windows is a disaster for me and millions more. The small indent between directory layers could be bigger, and the use of > is not as obvious as the old +. File search ought to be able to find anything, but it is cumbersome and not very informative. And although not especially File Manager, the use of an arrow on normal weight for an unavailable option and a slightly heavier weight for available is not helpful. I could go on, but it would be off topic. To sum up, I preferred the operating style of XP File Manager as I like to keep a tight grip on what goes where. and be able to find it again.